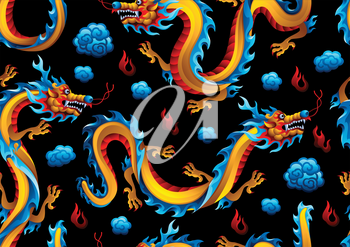 Seamless pattern with Chinese dragons. Traditional China symbol. Asian mythological color animals.